The Primrose Flower is definitly a sign that spring has arrived! 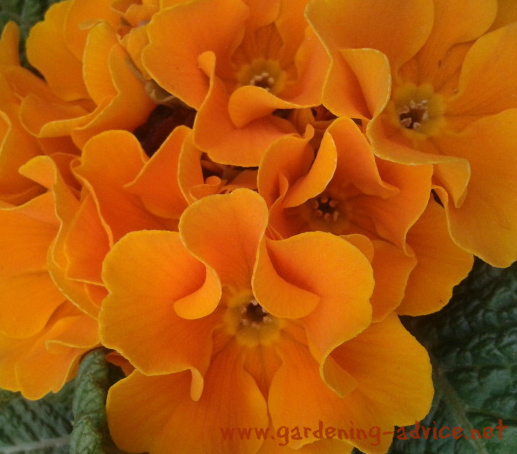 Learn all about growing primroses and their care. 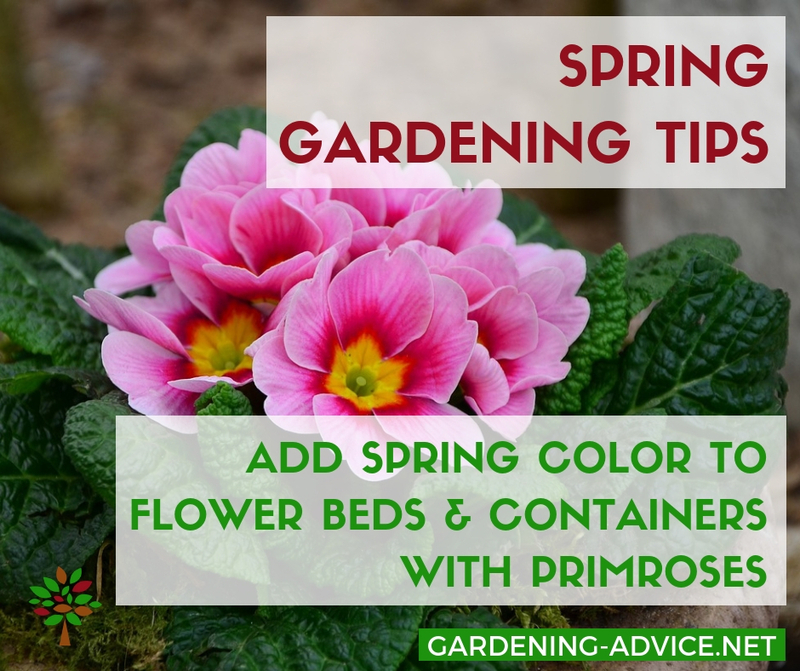 Primrose plants come in many different colors and will brighten up your containers or borders in the spring. Primroses are amongst the most welcome since they mean that spring and early summer have definitely arrived after the long winter. The little wild yellow primrose plant, from which most of the cultivated varieties have been bred, is protected in Great Britain and it is illegal to pick the primrose flowers or to dig up the plants. 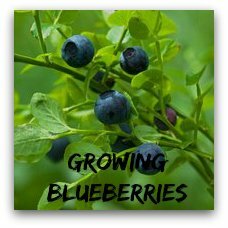 But there are dozens, if not hundreds, of cultivated varieties to choose from. 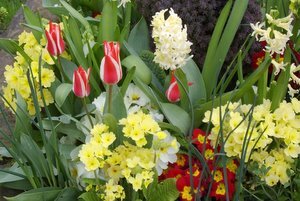 The different primrose flower colors mix well with spring flowering bulbs! Primroses are a member of the primula family which includes cowslips (another protected flower). Polyanthus were originally bred from crossing the wild primrose and the wild cowslip and since then many different Polyanthus have been developed. 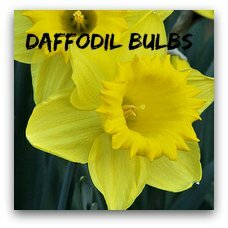 They are very satisfying plants to use in a border or in flower pots since they have long stems topped by clusters of open primrose flowers in a remarkable variety of colours. All the primulas are perennial flowers, which means that once you have planted them, they will flower again year after year and will also spread easily. 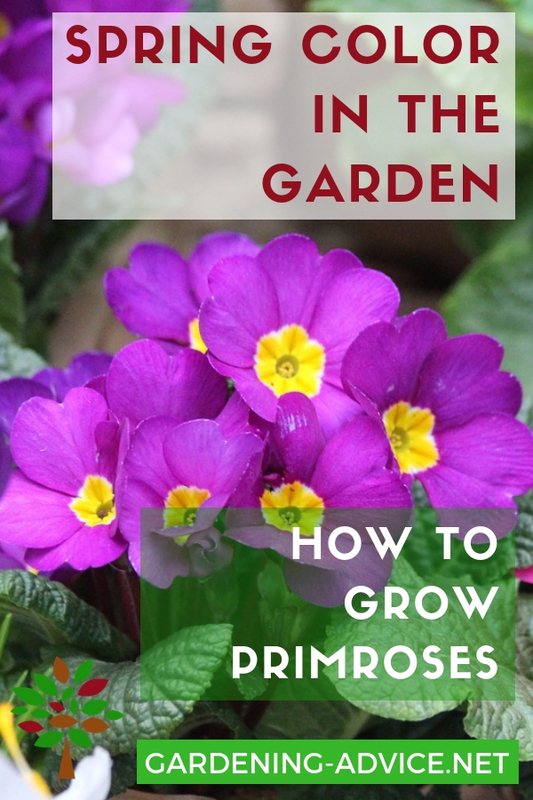 Growing Primroses From Seed Or Buying Primula Plants? If you are just beginning, it is probably better to start growing primroses and polyanthus by buying plants as what are called 'bedding plants' (because they are used to fill empty spaces in a bed) in the early spring. They will flower throughout the spring and some perennial primula varieties will flower into the summer. If you want to try sowing seed, the seed needs to be sown in shallow trays filled with seed starting soil in a cold frame or greenhouse either in spring or early summer or in the autumn. The seed should just be pressed down into the potting soil and then kept moist until they germinate. 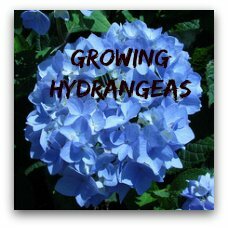 The little plants can be planted out into their permanent positions when they are large enough, but they will not flower until the following year. Many of the wild primula family grow in woodland and as a result the cultivated varieties can tolerate shade. They do well if planted in dappled shade but will also flower even in quite deep shade. The ideal position is one where they will get a certain amount of sun for part of the day. The primula family will tolerate a wide variety of garden soils. Wild primroses grow best on acid soils but cowslips enjoy a chalky or limestone soil, the opposite of an acid soil! It seems that the hybrid Polyanthus can tolerate any soil type but they need plenty of organic matter like well-rotted manure or compost dug in before planting. Remember that these are perennials which are going to be in the same place for many years (unless you dig them up) so it is wise to give them a good start. If you intend growing primrose plants, primulas, and polyanthus in pots and containers, any good general purpose potting soil will be a perfect growing medium for them. Combine primula plants with spring flower bulbs like daffodils, tulips, crocus or hyacinths for a colourful display either in pots or in the ground. Pretty Primroses...spring must have arrived! Dividing Primulas: Every third year each plant should be dug up in the winter, divided into three and the three parts replanted as new plants. If this is not done, the plants will form large rooty clumps with fewer and fewer flowers each year. Older plants may develop black spots on their leaves. 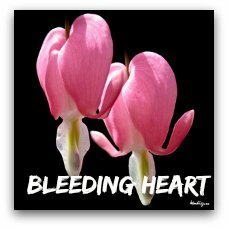 There is no cure for this and it is probably better to dig the plant up. Garden Slugs rather enjoy the leaves of polyanthus. They can be controlled by putting down organic slug pellets (inside a flower pot laid on its side so that the birds do not eat them), or by surrounding the plants with chimney soot or wood ash - which has to be renewed, however, each time it rains. Primroses and Vine Weevils: Unfortunately Primulas are one of the favourite plants of vine weevils. The grubs eat the roots during the winter months and destroy the plants. This is particularly a problem if you are growing primrose flowers in pots. To prevent that you can use nematodes that will kill the grubs.